2018 was a busy year for top Russian prospect Petr “No Mercy” Yan (11-1, #14). The year following his title defense in ACB, the bantamweight debuted in the UFC impressively with a first round knockout over established Japanese fighter Teruto Ishihara. After a second, performance winning victory over the durable Jin Soo Son, Yan was set to take on top 15 ranked Brazilian bantamweight Dougas Silva de Andrade (25-3) at UFC 232 – and the hot talent from Siberia did not disappoint. “I had a great plan in my head to fight Silva! Everything was under my control and you yourself saw that he was broken,” Yan told MMAnytt in a recent interview. Yan may come off as cocky, but he is correct. The Russian completely shut down Silva de Andrades game, and dominated both standing and on the ground, until the doctor ended up stopping the bout between the second and third round as the Brazilian couldn’t continue. While a promising talent for the past few years, the huge victory at UFC 232 opened many eyes, and set up an upcoming bout against number eight ranked former title challenger John Dodson (20-10). Two time title challenger Dodson has faced many of the best fighters in both the fly- and bantamweight division, and has more professional MMA experience. Aside from his perhaps overlooked experience, Yan sees a special advantage in the power and skills that, according to him, comes from his home region of Siberia. Yan claims that what Siberian fighters lack in numbers, they make up for with unique capabilities and aspects. The bout with Dodson may be Yan’s first of 2019, but if all goes according to plan, it certainly wont be his last. 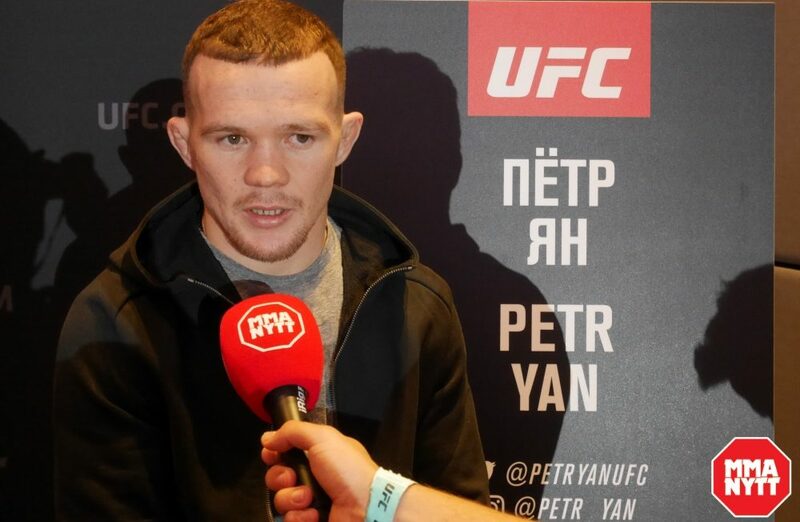 The UFC will be returning to Russia this year with an upcoming event in St. Petersburg on April 20th – an event Yan is hoping to compete at as well. Despite his recent entry into the UFC top 15 rankings, Yan isn’t content with simply being a top fighter, he wants to be the best. Yan faces Dodson on the main card of UFC Fight Night 145: Blachwicz vs Santos, in Prague, Czechia the 23rd of February, and if he continues living up to his “No Mercy” nick name, greatness will surely be in reach for the promising Russian.